A fourth and final 1215 Magna Carta is displayed in Lincoln Castle in a new Magna Carta vault. 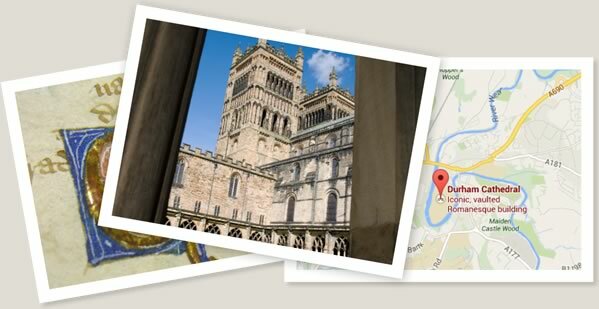 Visit the Cathedral and Castle and enjoy a number of anniversary events and celebrations during 2015. AM: In 1212 the King granted a charter to the citizens of York, which proved a precursor of Magna Carta. PM: William the Marshal established the Priory Church of St. Mary and St. Michael in Cartmel, Cumbria, in 1189. Three editions of Magna Carta dated 1216, 1225 and 1300 are held in Durham Cathedral, recently voted the UK’s Number One Landmark. The 1216 issue will be on display in Durham City from 1 June to 31 August 2015 at Durham University’s Palace Green Library.